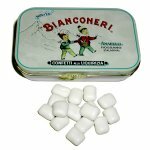 Small pieces of chewy licorice covered with a white mint coating come in a beautiful Old World decorative tin. 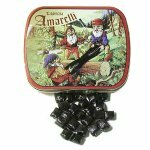 Bianconeri is an excellent introduction to Italian licorice. 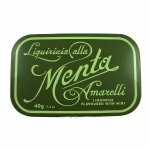 Sugar, licorice, starches (potato, corn and rice), natural flavorings of mint and vanilla. 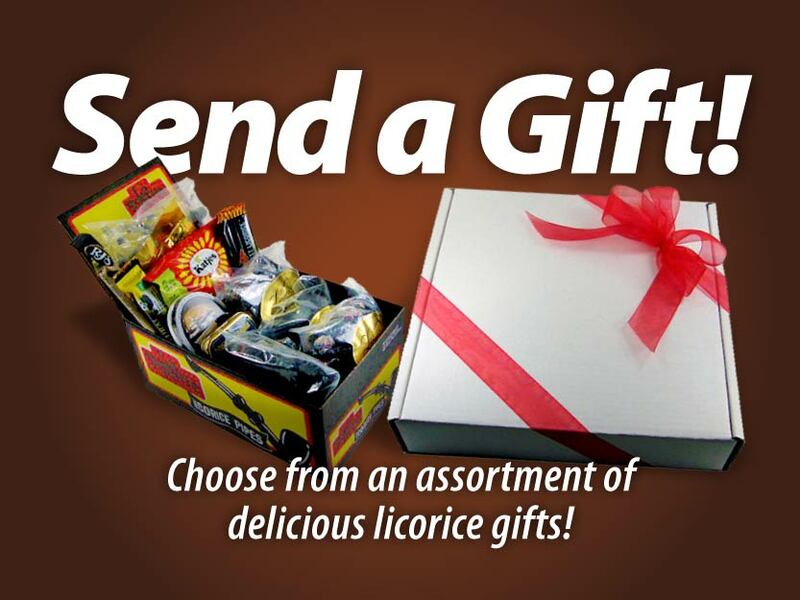 "I agree with the store review: these are a great intro to Italian licorice. 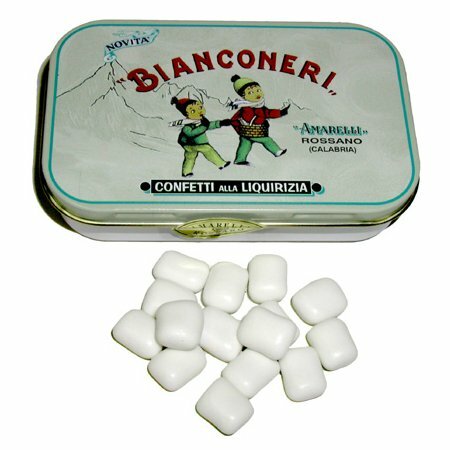 The sweet mint takes a bit of the edge off of the bitter Italian licorice flavor. These are delicious!"